Plan your week from your favorite calendar. When time is money, your calendar is everything. Zoho CRM connects all your calendars to one system, so you're ready to say yes when your customers want to meet. 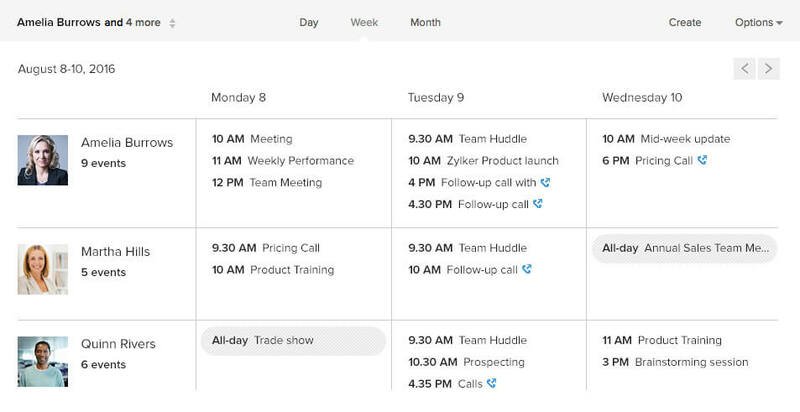 Plan your demos with prospects, calls with customers, training sessions, and just about anything sales-related using the built-in calendar. Use the group calendar to check your colleagues' availability before scheduling calls or meetings. Direct calling from the calendar makes hunting for a prospect's phone number a thing of the past. 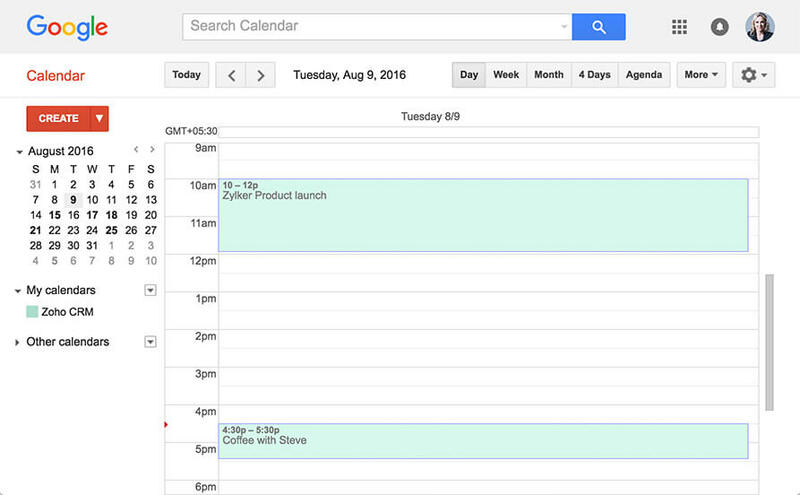 If you want to use Google Calendar, you can sync your CRM events with it. The events will show up in both Google and CRM. Add guests from your Google Calendar events as contacts in CRM and continue your correspondence. Bring your Outlook appointments to CRM. 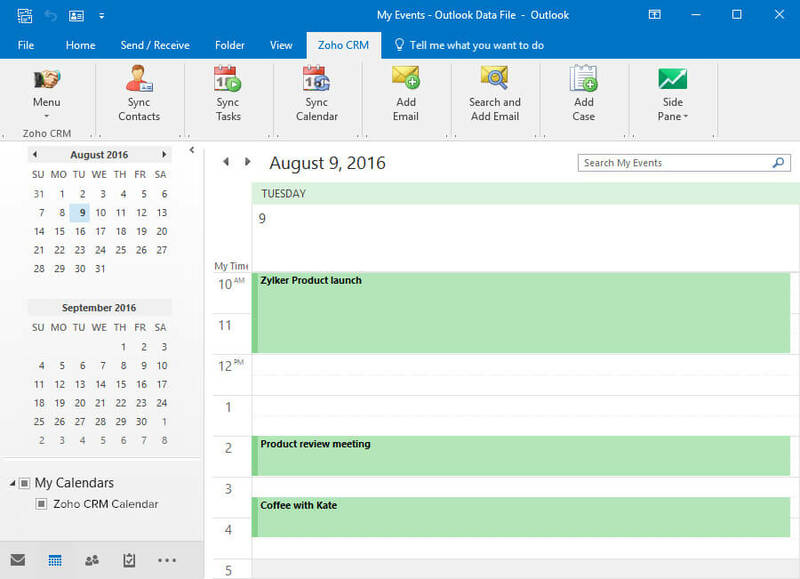 With the Microsoft Outlook Plugin, your appointments and meetings will sync with CRM. Attendees automatically become event participants in CRM and are associated with the Leads and Contacts modules. 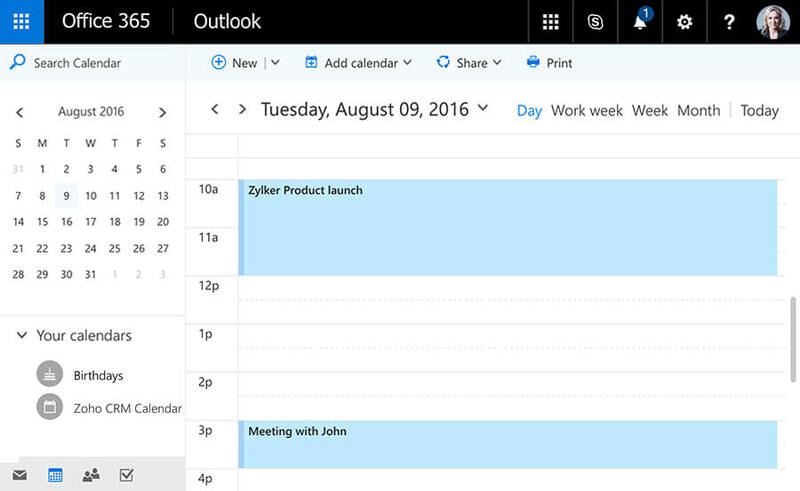 Sync your Office 365 Calendar with CRM. Keep track of important events and deadlines by syncing your Zoho CRM Calendar with Office 365. Avoid the hassle of multiple sign-ins. Access your CRM events from within Office 365 and appointments of Office 365 from within Zoho CRM. Have CRM events in your Apple Calendar. 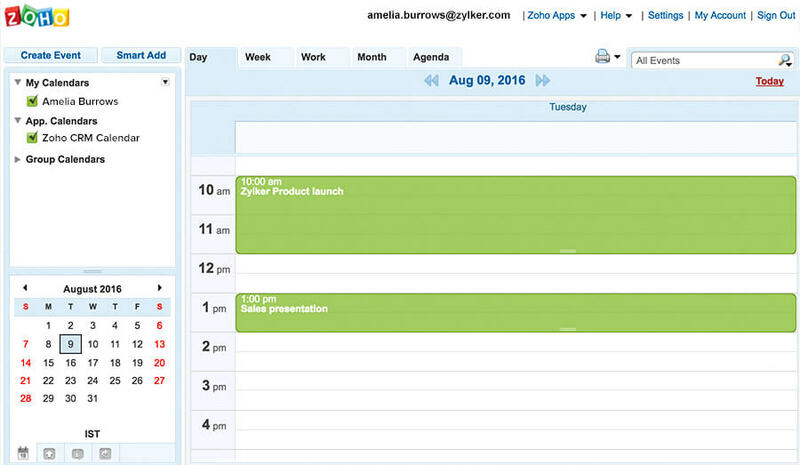 Apple users can keep their personal and CRM events in one calendar. 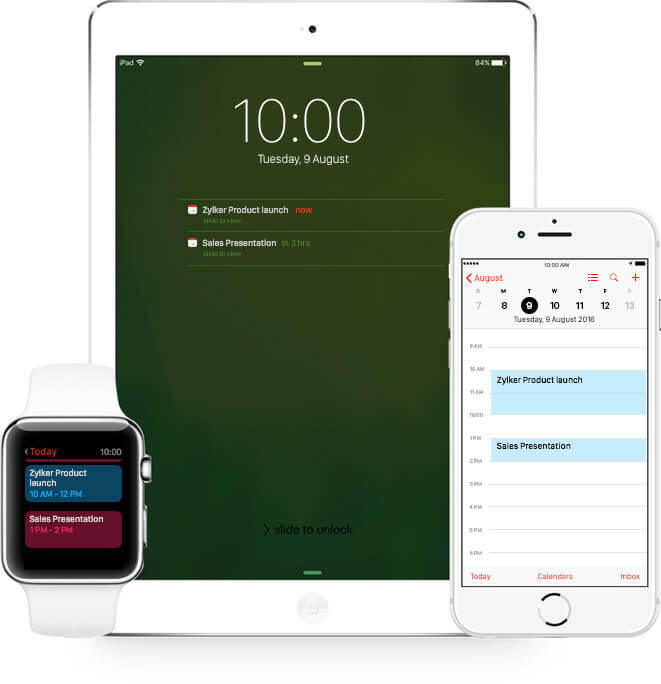 The iPhone, MacBook, Apple Watch, and iPad all receive CRM event reminders once the calendars are synced. Use Zoho Calendar with CRM. Zoho Calendar users don't need to enter the same event multiple times, worry about two calendars when planning their day. Events are synced across both calendars.